I like this…no, I kind of love it. This is a working gopher server over http. 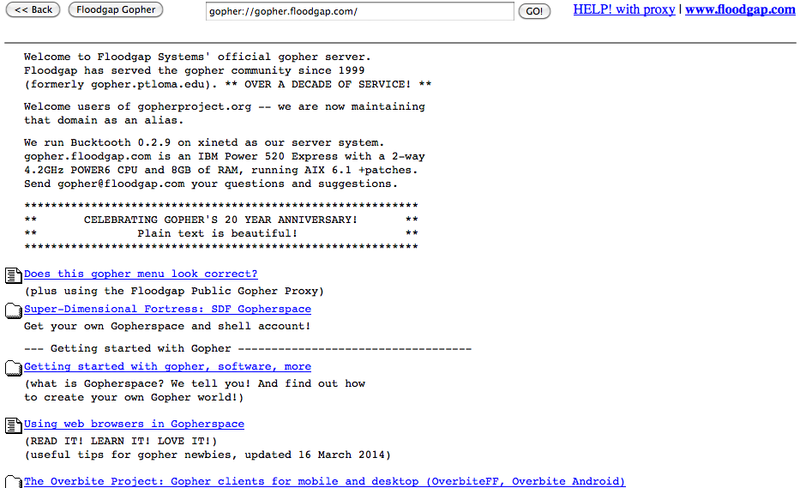 Back in the early days, gopher was a text-based competing protocol to the World Wide Web and http. As the Web grew in adoption, gopher servers died out. This server at floodgap is holding onto some history. 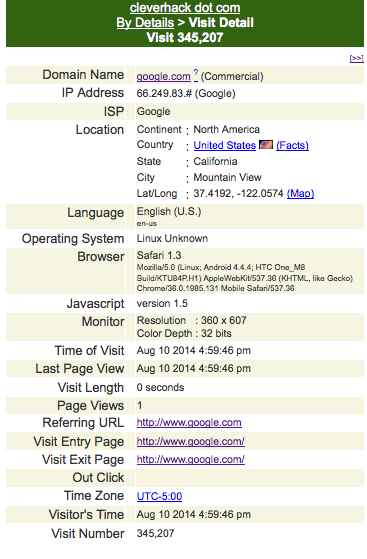 You are currently browsing the cleverhack dot com weblog archives for August, 2014.